HB 1017, which adds which spinal muscular atrophy and severe combined immunodeficiency to the list of disorders in the newborn screening requirements for Indiana, passed the House. It has now crossed over to the senate and has been referred to the Senate Committee on Health and Provider Services. IDF will be monitoring its progress and advocating in support of its passage to help ensure funding is allocated to implement SCID screening in the coming year. Looking back on 2017, IDF is thankful for the hard work and dedication from all of our volunteers. You are the heart and soul of many of our programs. From supporting IDF staff at special events, to outreach and raising awareness for primary immunodeficiency diseases (PI), your willingness to devote your time and skills helps our community. With a growing demand for services and programs from IDF, we are counting on our volunteers to renew for the 2018 year in order to reach those who need us most. IDF President & CEO John Boyle recently talked with Emily V. Gordon, the real Emily from The Big Sick, to get the scoop on the story that so many in our community can relate to. It is with great sadness that the Immune Deficiency Foundation (IDF) shares the news that Sara LeBien died January 14, 2018. 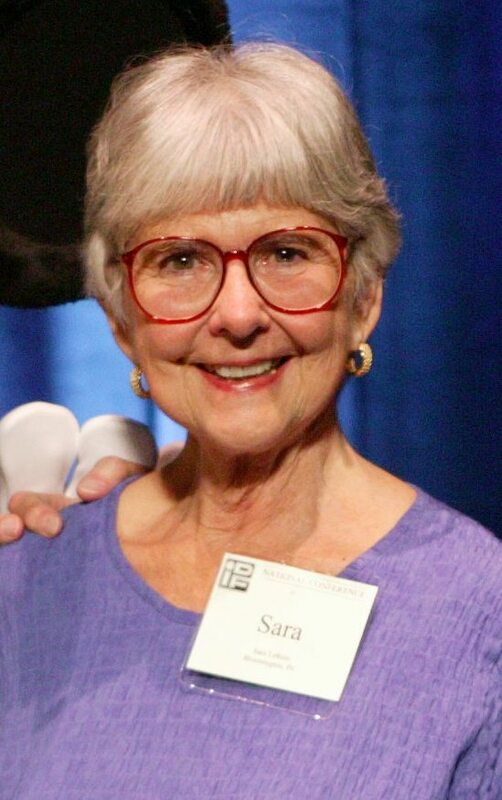 Sara and her husband Bob were integral in the founding of IDF. They, like the other families and physicians involved in the early days, saw the need for a national organization dedicated to improving the diagnosis and treatment of people with primary immunodeficiency diseases (PI) after their son Mike was diagnosed. Select "Monthly" to Become a Member of IDF's President's Club! Members of the President’s Club receive special recognition and exclusive updates from IDF. We welcome your unrestricted support for all of IDF’s initiatives through the IDF Core Service Fund. If you would like to restrict your gift to a specific IDF initiative or fund, please use the drop-down menu to do so. Restricted gifts support diagnosis-specific projects like events, advocacy, research and more. For more information, please contact Development at 1-800-296-4433. Please include the name of the person you are honoring. Please note: a gift is made In Memory of someone if he or she has passed away, and In Honor of them if they are alive. Would you like us to notify someone of your donation? Please choose your preferred method of "Acknowledgement" delivery and then enter the relevant information to have a message sent to the individual or family notifying them of your gift. Click here if you wish the notification to be sent from “Anonymous” rather than your name. Yes, I would like to receive donor emails. Your contribution may take several moments to process. Please don’t click submit more than once. Thank you for your patience. A new type of gene therapy pioneered at St. Jude Children's Research Hospital appears to build fully functional immune systems in babies born with the so-called "Bubble Boy" disease, offering hope of a permanent cure for kids who otherwise might die before their second birthdays. Click here to read the full article.